When you visit the site, we automatically collect certain information about your device. As you browse the site, we collect information about the individual web pages, what websites or search terms referred you to the site, and information about how you interact with the site. Log files – track actions on the site including IP addresses; types of browser; internet service providers; date and time stamps; referring and exit pages; number of clicks. All of this information is not linked to anything that is personally identifiable. Web Beacons – ‘tags’ and ‘pixels’ are electronic files to record information about how you browse the site. Communication Data – includes any communication that you send to MMS whether that be through email, text, social media messaging, social media posting or any other communication that you send us. MMS’s lawful ground for this data is processed for the purposes of communicating with you, for record keeping, and to pursue or defend legal claims. This data may be used to deliver relevant website content and advertisements to you and to measure or understand the effectiveness of the advertising we serve you. MMS’s lawful ground for this data is processed for the legitimate interests which are to grow a business. MMS may also use such data to send other marketing communications to you. MMS’s lawful ground for this data is processed as either consent or legitimate interests. MMS will only use your personal data for the purpose it was collected for or a reasonably compatible purpose if necessary. MMS may process your personal data without your knowledge or consent where this is required or permitted by law. Data Security & Retention – MMS has put in place security measures to prevent your personal data from being accidentally lost, used, altered, disclosed, or accessed without authorization. MMS will only retain your personal data for as long as necessary to fulfil the purposes we collected it for, including for the purposes of satisfying any legal, accounting, or reporting requirements. Sensitive Data – I do NOT collect any sensitive data about you. Sensitive data refers to data that includes details about your race, ethnicity, political affiliations, or sexual orientation. The entire content of this website, including but not limited to, information, materials, and texts is MMS property and is protected by copyright law and international treaties. It has been posted with the intent that it be available and accessible for personal use. 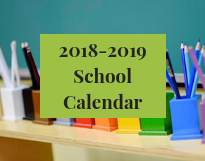 Such content may be reproduced for your personal use in whole or in part and by any means without any further charge or further permission from Maria Montessori Preschool. 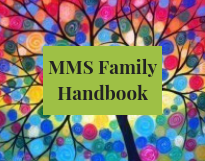 Reproduction of multiple copies of MMS content from this website, in whole or in part, for commercial use, resale, or distribution is strictly prohibited except with the prior written permission of Maria Montessori Preschool. To obtain written consent for such reproduction, please contact us. Some of the materials and graphical elements found on my website are retrieved from other sources external to Maria Montessori Preschool and as such, are subject to copyrights held by other organizations. Some restrictions on the reproduction of materials or graphical elements may apply and it may be necessary to seek permission from the respective rights holder prior to reproducing the material or elements thereof. You may not alter, transform or modify any of the information contained on this website in any way without the prior written consent of Maria Montessori Preschool. MMS is not responsible for republished content from this blog on other blogs or websites without our permission.